Predictive business process monitoring methods exploit logs of completed cases of a process in order to make predictions about running cases thereof. Existing methods in this space are tailor-made for specific prediction tasks. Moreover, their relative accuracy is highly sensitive to the dataset at hand, thus requiring users to engage in trial-and-error and tuning when applying them in a specific setting. This paper investigates Long Short-Term Memory (LSTM) neural networks as an approach to build consistently accurate models for a wide range of predictive process monitoring tasks. 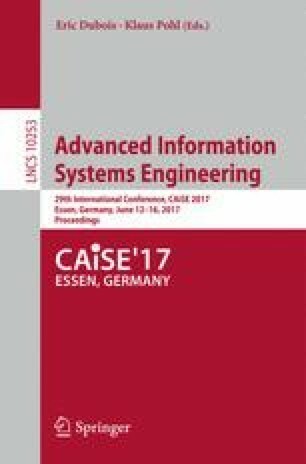 First, we show that LSTMs outperform existing techniques to predict the next event of a running case and its timestamp. Next, we show how to use models for predicting the next task in order to predict the full continuation of a running case. Finally, we apply the same approach to predict the remaining time, and show that this approach outperforms existing tailor-made methods. This research is funded by the Australian Research Council (grant DP150103356), the Estonian Research Council (grant IUT20-55) and the RISE_BPM project (H2020 Marie Curie Program, grant 645751).